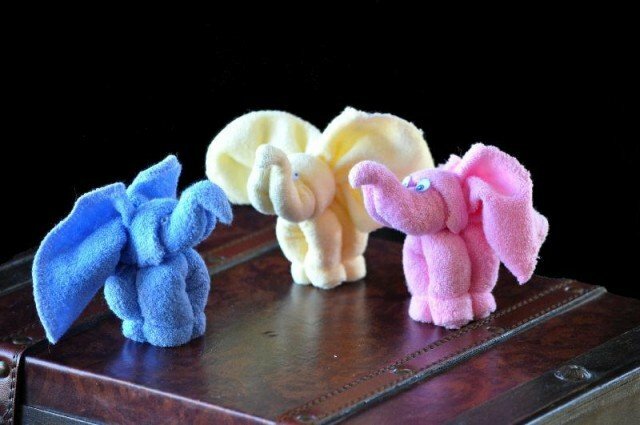 We love everything easy and cute, such as these adorable towel elephants. Towels is essential bath and bedding supply for home, and for gifts delivery sometimes. 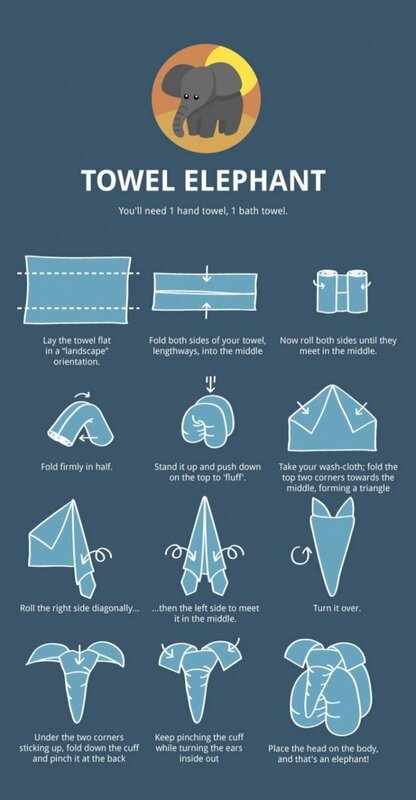 So change the design from the ordinary flat ones and fold them into cute towel animals. They will be great for home decoration or for baby shower gifts. We have some many baby shower gift ideas before, the Diaper Babies, the Baby Pillowcase Sleeping Bag are all great choice. 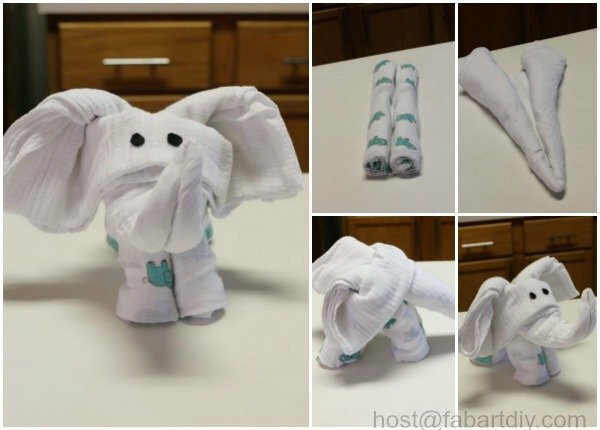 While Origami is always a best choice which requires no needle work, and these towel origami elephants are exactly made our of a couple of towels, rubber bands, and some folding steps. 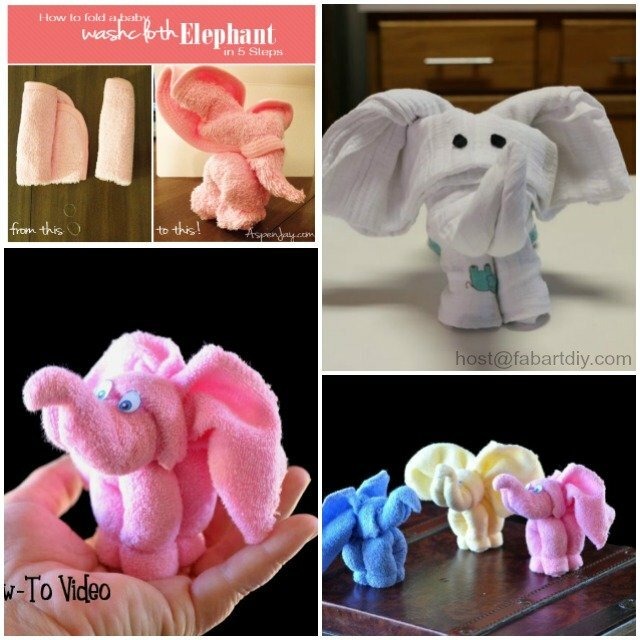 Check out the tutorials in the following links for how to make your own cute towel elephants. 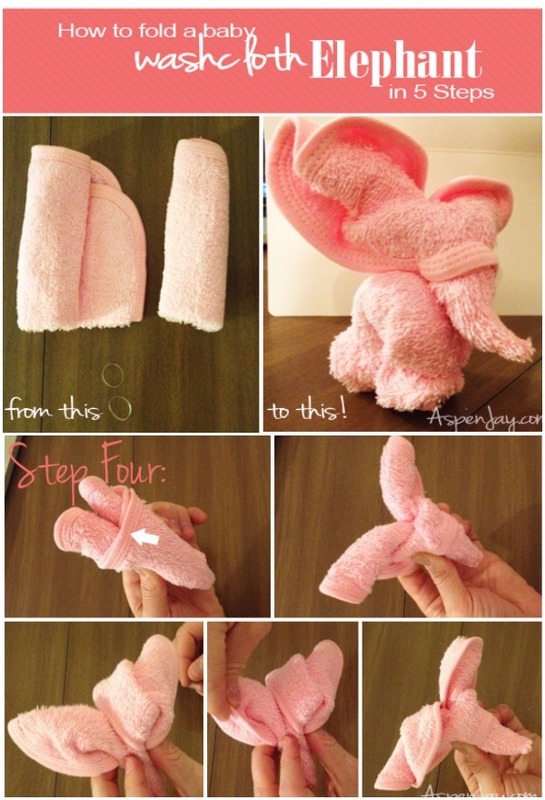 We can use 2 piece of hand towels to make the towel elephant basically, the the chart below how easy and fun it can be. Even the baby wrap blanket can be turned into elephant, too.